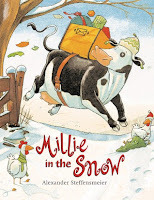 I should be working on Christmas cards right about now (ALL the cards going out next week), but instead I thought it would be more fun to talk about Christmas books that are always good for a laugh. Especially after the last set of books that usually bring on the waterworks. Lighten up the mood with some of these gems. They are all favorites! Papa Bear takes Brother out to demonstrate how to use all his great new outdoor gear: skies, skates, and sleds. By the end of the day, Papa Bear has gotten into all kinds of mishaps and Brother Bear is ready to go! Our copy of this book is old and falling apart--it was a garage sale find--but my kids think its hilarious. 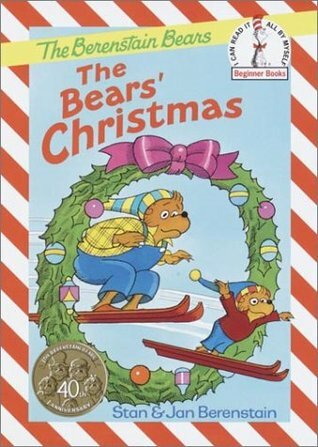 I don't like how Papa Bear is such a buffoon, but I overlook that for the sake of hearing them giggle together as they read it to each other. Maynard Jenkins recalls the blizzard of '22. The North Pole had gotten so hot that the elves stopped making toys. In fact, Santa moved the whole shebang right to Maynard's town, because it had been so cold that year. Still no snow, though. Something had to be done, quick! So young Maynard, with the help of a Miz Pendersnarf, took the weather in hand.....sort of. It was harder than it seemed to get everything just right. 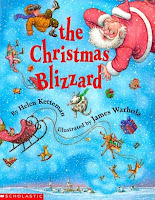 A tall tale of crazy weather and saving Christmas. Best read with an old-timer's accent. Just do the best you can. Our favorite is part is when the clouds freeze solid and crash to the ground! Farmer Brown's farm is getting ready for Christmas. 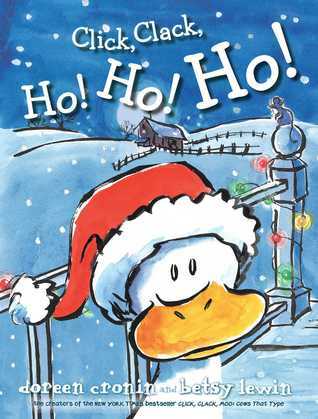 Duck has a plan to beat Santa to the punch. Unfortunately, Duck gets stuck. So do several would-be rescuers. Who is going to save the day? Another winner in this series. Expressive illustrations match fun-to-say phrases for a Christmas romp in Farmer Brown's...chimney? Oh dear! Millie the cow used to love scaring the mailman--until the proud day she became a mail cow (in Millie Waits for the Mail). Now on Christmas, she is eager to help deliver packages to everyone on the route. Once they reach the end, there's still a box left. The mailman has made gifts for everyone on the farm. Unfortunately, Millie gets a bit turned around on the way home, and the gifts more than a little mixed up. Moose is determined to have a "perfectly perfect" Christmas this year. So, he makes his to-do list and then gets busy, busy, busy! He's checking things off his list left and right, all the way up until Christmas Eve, when his family points out a glaring omission: the tree. Oh no! He forgot the tree! There are none to be found anywhere, so Moose comes up with a solution that everybody can help with: he does have that magnificent moosestache, after all! 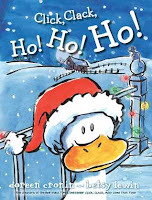 This is one of my most favorite Christmas books ever! It is so fun to read out loud! All the checking off the list ("check, check, check, check, double check,") and rhyming phrases, ("Oh good golly, this moose was jolly!") 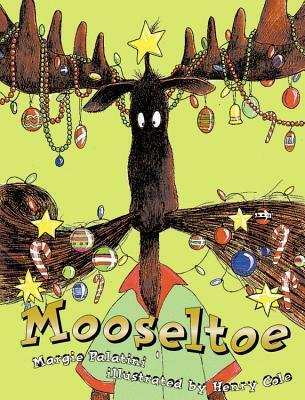 The illustrations have funny little details--especially watch for things hanging off Moose's mustache--and the ending is just delightful. We love it! If you've never read it, grab a copy! 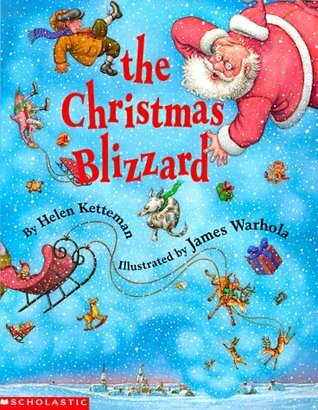 Which Christmas books make you laugh? We would love to add a few more!